У лето 1883. године на Цетињу се оженио Кнегињом Љубицом - Зорком, најстаријом кћерком црногорског Књаза Николе. У том браку рођено је петоро деце: кћерке Јелена и Милена (умрла као дете), и синови Ђорђе (одрекао се права наследства престола 1909), Александар и Андрија (умро као дете). После краћег боравка у Паризу, породица Карађорђевић преселила се на Цетиње, где је остала следећих десет година. Због лошег материјалног положаја, Кнежевић Петар продао је кућу у Паризу 1894, и настанио се са породицом у Женеви. Његови контакти са људима из Србије, нарочито са вођом радикала Николом Пашићем никада нису престајали. У ноћи између 28. и 29. маја 1903. официри завереници убили су Краља Александра Обреновића и Краљицу Драгу. Војска је на своју руку извела државни удар и прогласила Кнежевића Петра Карађорђевића за Краља Србије, што је својим избором потврдила Народна Скупштина 15. јуна. После 45 година Карађорђево потомство поново долази на чело српске државе, чиме почиње нови период у њеном развоју. ''Желим да будем прави уставни Краљ Србије'' – рекао је Краљ Петар I у свом прогласу током полагања заклетве. Први балкански рат против Турске 1912, и Други – против Бугарске 1913. - окончани су тријумфом српске војске под врховном командом Краља Петра I, и ослобађањем Рашке области, Косова, Метохије и Македоније, и њиховим припајањем Србији. 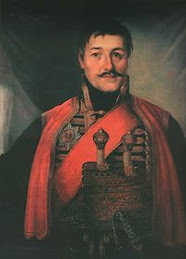 King Peter I Karadjordjevic was the fifth child of Prince Alexander and Princess Persida (the daughter of Duke Jevrem Nenadovic). He was born on St. Peter’s Day 11 July 1844. He finished elementary and high school in Belgrade, and continued his education at the Venel – Olivier Institute in Geneva. After his graduation, Prince Peter went to College Saint Barb in 1861, and then in 1862 he enrolled in the famous French military academy Saint-Cyr and graduated in 1864. While he was in Paris he showed interest in photography and painting, and kept improving his military and political education. That broadened his views on liberalism, parliamentarianism, democracy and its institutions. In the beginning of 1868, when he was only 24 Prince Peter printed his translation of John Stuart Mill’s essay “On Liberty”, with his preface, which later became his political program. 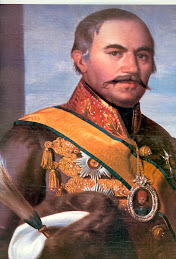 After the assassination of Prince Mihailo Obrenovic in May 1868, political circles close to the Obrenovic dynasty included a paragraph in the new constitution, prohibiting the Karadjordjevic’s from returning to Serbia and confiscated their property. Prince Peter joined the Foreign Legion in 1870 and fought in the war between France and Prussia during which he was decorated with the Legion of Honour. 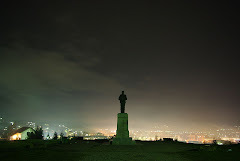 In 1875, he took part in the Bosnian-Herzegovina uprising as a volunteer under the assumed name of Peter Mrkonjic. 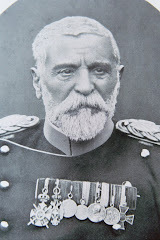 After the failure of the Topola rebellion in 1877 he continued his political activities. In the summer of 1883 he married Princess Ljubica-Zorka, the eldest daughter of the Montenegrin Prince Nikola in Cetinje, Montenegro. 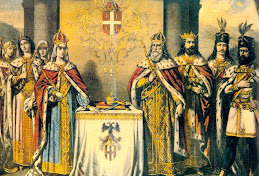 They had five children: two daughters Jelena and Milena and three sons Djordje (who renounced his right to the throne in 1909), Aleksandar and Andrija (he died as a child). After a short time in Paris, the Karadjordjevic family moved to Cetinje, where they lived for ten years. Due to his poor financial situation, Prince Peter sold his residence in Paris in 1894 and settled in Geneva Switzerland with his family. His contacts with people from Serbia continued, above all with Nikola Pasic, the leader of the Radical Party. During 1897 Prince Peter left for Russia and was received by Tsar Nikola II. Three years later, he tried to reach an agreement with Serbia’s King Aleksandar Obrenovic regarding the recognition of the title Prince and the return of Karadjordjevic family confiscated property, but without success. 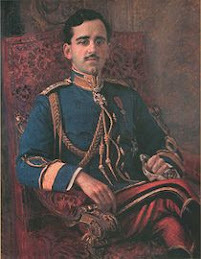 Prince Peter reinforced his political activity for his return to Serbia. In 1901, he intensified his efforts to get closer to Austro-Hungary, offering his political programme. 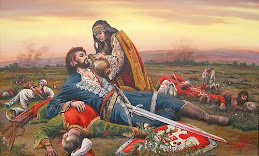 On 28 May 1903, a group of Serbian army officers assassinated King Alexander and Queen Draga Obrenovic. 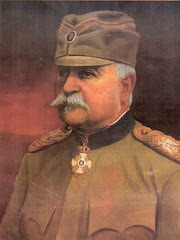 The Serbian army organized a Coup d’Etat and proclaimed Prince Peter Karadjordjevic, then living in Switzerland, as the new King of Serbia. The National Parliament confirmed this on 15 June 1903. After 45 years the Karadjordjevic family regained the leadership of the Serbian state, starting a new era in its development. 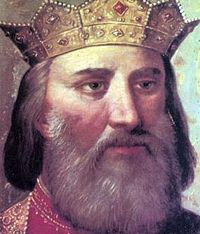 “I want to be a true constitutional King of Serbia” – said King Peter I in his declaration on the day of taking his oath. 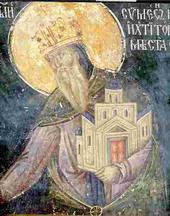 From the beginning of his reign, King Peter I faced serious obstacles. 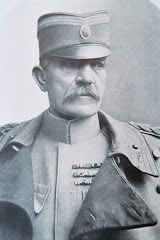 Interior political fights disrupted the country and Austro-Hungary, benevolent towards the new Serbian King at first, it soon became an open enemy of Serbia, particularly after the crisis caused by the annexation of Bosnia and Herzegovina by Austria-Hungary in 1908. 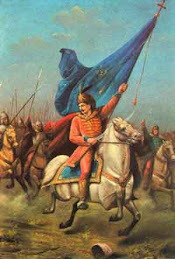 The first Balkan War against Turkey in 1912 and the second – against Bulgaria in 1913, ended in the triumph of the Serbian Army under the supreme command of King Peter I. Serbian victories in these wars resulted in the liberation of the Raska District, Kosovo, Metohija and Macedonia, and their uniting with Serbia. 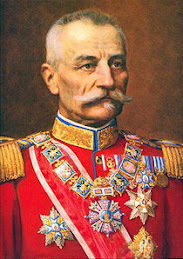 The constant physical demands of the Balkan Wars resulted in King Peter’s deteriorating health and on 24 June 1914 he transferred his royal prerogatives to his son Crown Prince Alexander. A month later Austro-Hungary declared war on Serbia, which sparked World War I. 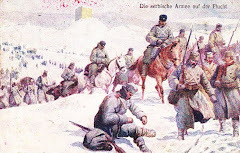 After the victories of the battles of Cer and Kolubara in 1914, Germany and Bulgaria entered the war in 1915 and the Serbian Army was forced to withdraw and leave the country. The Albanian Golgotha, a winter retreat of the Serbian Army through the mountains of Albania, furthermore affected the health of the aging King. However, he lived on to witness Serbia’s victory at the end of World War I and the liberation of Serbia along with the establishment of the new country the Kingdom of the Serbs, Croats and Slovenes of which he was proclaimed the first King. 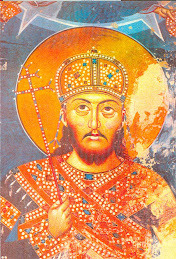 King Peter I died 16 August 1921 in Belgrade and was buried in the Mausoleum of St. George in Oplenac. Owing to his accomplishments in the Balkan wars and World War I, he was known by the people as King Peter I, The Liberator.